"The week’s grand finale is the Bike to Work Rally on Friday, June 17 on Daley Plaza. 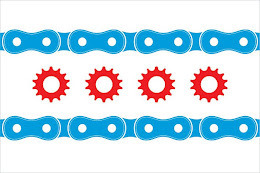 The City of Chicago and Goose Island 312 present the rally to celebrate Chicago’s commitment to being the best big city for bicycling with more than 110 miles of bike lanes, 50 miles of bike paths and 12,000 bike racks. Join more than a thousand fellow cyclists on Daley Plaza for a free t-shirt, breakfast, bike valet and much more. To promote cycling camaraderie, there will be select locations around the city to join group rides to the rally that morning; locations will be identified closer to the date." City of Chicago :: Bike To Work Week To Present More Events Than Ever!